WASHINGTON — Congressional supporters of the tobacco industry have wasted no time in proposing legislation to help e-cigarette companies escape rules adopted under President Barack Obama. 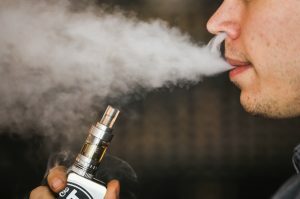 In what Representatives Tom Cole (R-Okla.) and Sanford Bishop (D-Ga.) described as a “clarification,” the two introduced a bill Thursday that would revise Food and Drug Administration rules governing the sale and advertising of e-cigarettes and cigars. The “FDA Deeming Authority Clarification Act of 2017” is an attempt by the lawmakers to set FDA policy back to where it was before the agency asserted authority over cigars, pipe tobacco, and vapor products such as e-cigarettes. The so-called deeming rule’s “grandfather” clause states that companies selling any such product after Feb. 15, 2007, must now disclose their ingredients and prove that their products meet the applicable public health standards set by the law. Cole and Bishop’s proposal would get rid of the “grandfather” clause. “The FDA effectively is making it more difficult for vapor products to come to market than cigarettes,” a statement from Cole’s office said. The industry fought the FDA proposal for years, enlisting big-name lobbyists like former Sen. Mary Landrieu, among others, from big tobacco companies. Vapor shop owners and cigar makers and sellers also joined the fight. Matthew L. Myers, president of the Campaign for Tobacco Free Kids, said he was not surprised by the re-appearance of the bill, which was also introduced last year. This article is reproduced with permission from STAT. It was first published on Feb. 16, 2017. Find the original story here.